One of the most ancient towns in East Lothian, and formerly an important mining centre, Tranent has a population of approx 9,000. Tranent is an ancient town in East Lothian County in Scotland; it lies just 10 miles east of Edinburgh and 7 miles from Haddington. The town sits on a gentle slope about 300 feet above sea level. It got its name from Brythonic origin Tre and Nant which signifies Town of the Stream. The town was once a major mining area, it is said that the beginning of coal mining came into existence in Tranent during 12th century. It started after the Lord of Tranent gave the areas over to the monks of Newbattle (Midlothian). In the beginning coal was sent to Cockenzie by wooden railways and then subsequently an iron railway. Even if one looks at the history of coal mining in Scotland it seems relevance of this region as one of the main element to the growth of mining. The famous incident which traumatized the place was the Massacre of Tranent during 1797. During that time the Militia Act was in force, the local miners protested this law resulting to atrocity on many people who were then brutally massacred for protesting against conscription into the British Army. In a remembrance to all those who lost there lives in this massacre a statue still stands in the town's Civic Square. 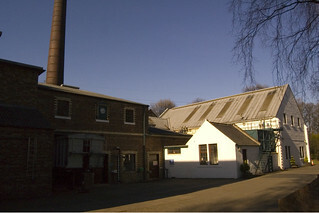 The distillery closest to Edinburgh and one of only three lowland malts still in production. It is the easiest distillery to visit if you are in Edinburgh. Fa'side Castle, sometimes known as Fawside, Falside, Ffauside, Fauxside, or Fawsyde, is a 15th-century keep located in East Lothian, approximately 2 miles (3.2 km) southwest of Tranent, and 2 miles (3.2 km) southeast of Musselburgh. The building was restored in the 1980s and is now protected as a category B listed building. For more details see the Fa'side estate website. They have self catering cottages near the castle.